Sales and Marketing must work together. When they don't, businesses can end up on the road to failure. We're in the age of the educated buyer. Hardly anyone makes a purchase of any size anymore without doing some research online before buying. This shift in buying behavior means that marketing and sales processes have to change as well. Brute force sales methods only work up to a point. Modern sales and marketing teams need good lead intelligence. They need to work together to get it. Marketing must work with Sales to create educational content and drive traffic to the website. Once there, visitors become leads through a conversion process. Good content or advertising brought them to the site, but an equally compelling call-to-action that trades contact information for additional, more valuable information converts visitors to leads. Are all leads good ones? Certainly not. Marketing and Sales have to work closely together to determine what factors qualify someone to be a Marketing Qualified Lead and then a Sales Qualified Lead. Lead scoring based on interactions is one way to quantify this process. A series of interactions and inquiries, each given a value, can assign that lead a score. When the score exceeds a certain threshold, the lead can be automatically moved further into the funnel where Sales can convert the best opportunities into customers. The measuring this information begins at the top of the marketing and sales funnel and ends at the bottom. There are six phases of the funnel. Content is the net marketers cast to attract visitors who are searching for that content. Intelligent calls-to-action and more valuable in-depth content help convert some of those visitors into leads. Marketing hands off qualified leads to Sales with good lead intelligence. 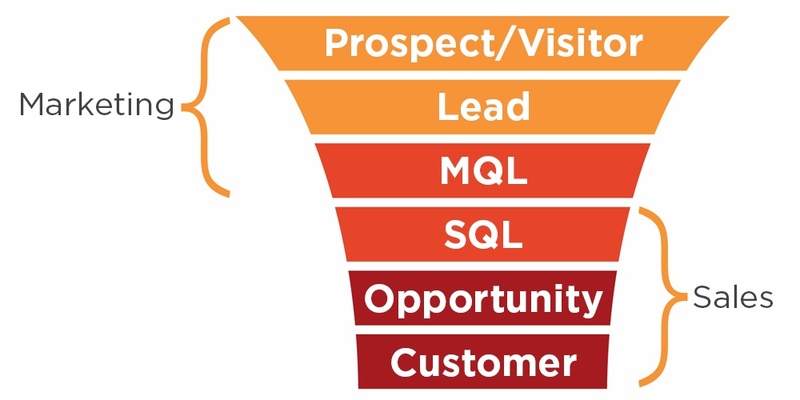 Sales works leads further down the funnel to help leads with potential solutions. Leads with that are an excellent fit and become opportunities. When the fit is right, and solutions can help, opportunities become customers. In the new age of educated buyers, all of those steps are trackable. Especially with a content marketing delivery platform and a contact relationship management system that work in tandem to share information between Marketing and Sales. That shared information is the basis for closed-loop reporting in a nutshell. What about traditional marketing methods? Even print, television, and radio ads drive people to the web. Why? Advertisers know people like to make buying decisions in their own time. Consumers visit sites for information at their leisure and later become customers if they love what they read. Companies build trust with consumers this way. The kicker? Advertisers also know that by funneling traffic to the web, they can track all the steps in the buying process. What ads worked? Which ones didn't? What content draws in the most visitors? What pathways are most effective in converting visitors into leads and ultimately customers? What is most critical in this age of the educated buyer is that both Marketing and Sales work together as one team instead of two. After all, both have the same goal: to grow the company. If everyone is honest, both should have the same sets of goals from the top of the funnel to the bottom. Helping to educate people and build trust. In this digital era where information is abundant, being honest is more important than ever. The educated buyer can see through companies that aren't being clear or helpful. When this happens, they buy from someone else. The beauty of this shift in buyer behavior is that marketing and sales can finally achieve that holy grail of consumer intelligence: closed-loop reporting. By working together from the first touch online all the way through to purchases made, companies can track the entire path of a customer's journey. Marketing and sales collaboration is when the magic can really start to happen. Everyone understands where things are working and where things are not. Decisions are based on data and not hunches. That leads to wins and everyone wants success. Want a great roadmap for bringing both Marketing and Sales together in your organization? Download our FREE guide Collaboration is Required. 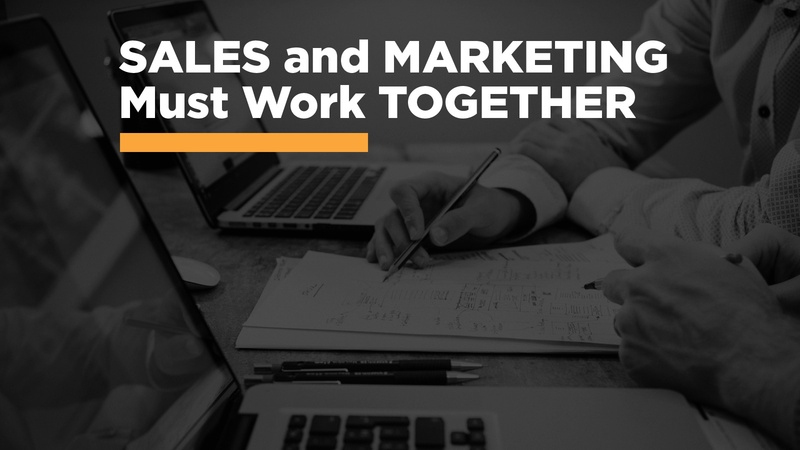 How Sales and Marketing Can and Should Work Together to Improve Results to with a clear, five-step process for bringing the two teams together with success. We're also passionate about Branding, Content Marketing, and Inbound Marketing. Those three things take a lot of skills and know-how. This is our little corner of the web where we talk about what we've learned and hope learn a few new things along the way. Want to hear from us occasionally about what we're learning and discussing? Subscribe below to receive email updates. Don't worry. We won't flood your inbox with unwanted stuff. You'll receive the occasional recap of things we've found useful and informative around the web and of course from our own little corner of it here.